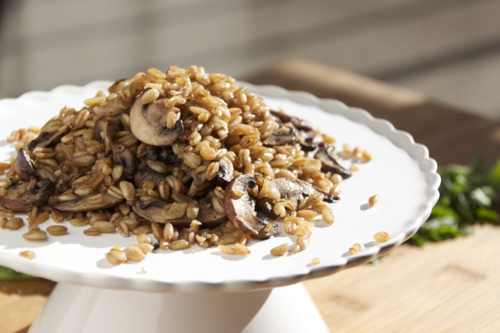 Farro is the new rice! Stop making the same rice everyday and put some farro on the stove! If you are trying to find different alternatives to rice and pasta isn’t working out that great, you need to get on the Farro bandwagon! 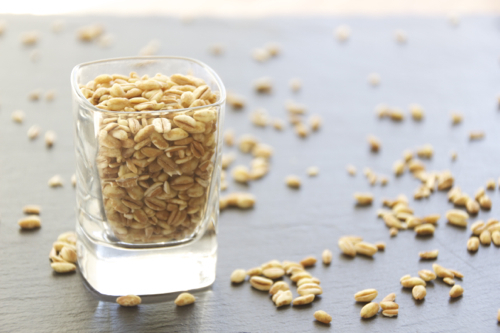 Farro is a grain from wheat, it reminds me of barley. It’s nutty in flavor, has a chewy texture, but can get mushy if you overcook it. 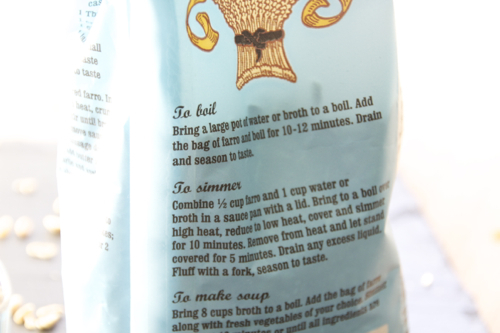 It’s great on its own, with yogurt, some stir fry veggies or any type of protein. I added some crimini mushrooms to this dish to add a more earthy flavor and I have to say, it’s pretty amazing! I didn’t follow the package directions for cooking the farro because it comes out too mushy so I tweaked the cooking instructions. I like my farro to have some crisp so I sautéed the farro with the mushrooms, which added some extra flavor from the pan. But I forgot to mention! 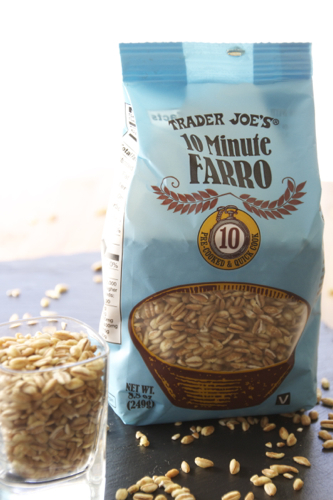 This Trader Joe’s 10-minute version is the best thing ever because it cooks in minutes and you don’t have to spend hours in the kitchen trying to cook the perfect farro. It is totally a must-have if you work and come home and have to cook at nights! Serve this dish with some chicken or roast beef and I assure you, no one will be asking for rice! 1. 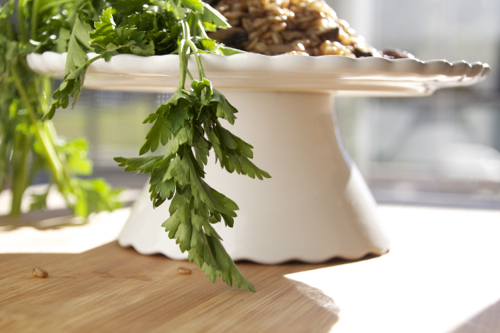 Place 2 cups of Farro in a small pot or saucepan with the smashed garlic clove, salt, butter and water. 2. Bring to a boil then cover and lower to a simmer. Cook for 8 minutes. 3. Turn heat off, uncover and let the cooked farro sit for 5 minutes. 4. While the farro sits, heat 1 tbsp of oil in a large sauté pan over high heat. 5. Add the sliced crimini mushrooms, salt, pepper and garlic powder. 6. Sauté for 2 minutes. 7. 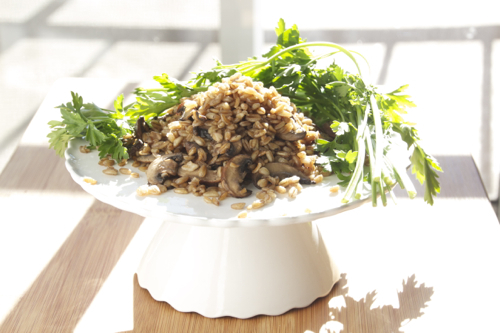 Add the farro to the mushrooms and sauté for 5-7 minutes. 8. Season with a pinch of salt.